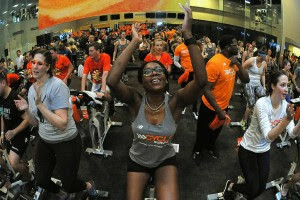 Last week, Equinox graciously hosted this year’s Cycle for Survival and DC Life Magazine was honored to attend! The energy was infectious. The room was full of love and hope for finding a cure for cancer! 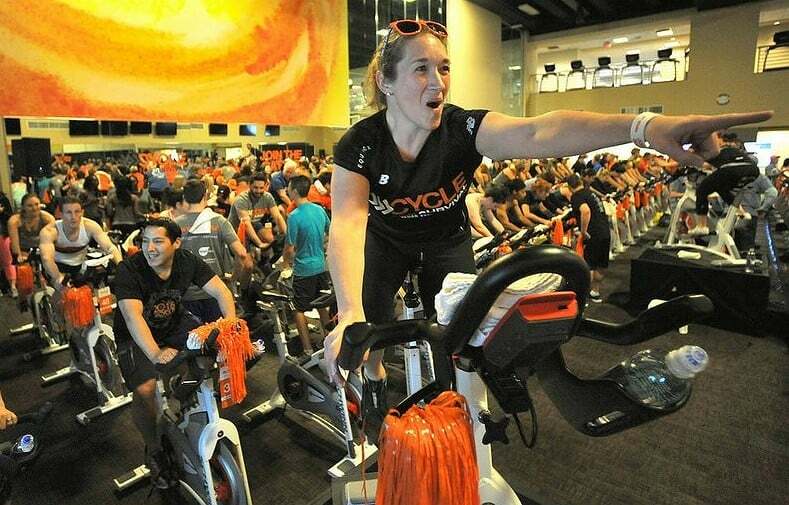 Cycle for Survival is the fastest-growing athletic fundraising event in the country. Their aim is to help fund rare cancer research led by Memorial Sloan Kettering Cancer Center. Since 2007, Cycle for Survival has raised almost $100 million through its cycling events across the US to help fight cancer. What makes this so fun and cool is that 100% of every donation will fund cancer research and those funds are allocated within six months of the events. Ready to help? 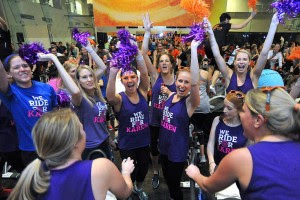 For a list of events, research updates, and additional information, visit www.cycleforsurvival.org and be sure to follow them on Facebook, Twitter, Instagram and YouTube with #CycleforSurvival. I’d even encourage you to join their mailing list and come out the next time they’re in DC. After the event, we had a chance to chat with Michele. Michele was riding in memory of her husband who was diagnosed with rare cancer just 3 weeks before their wedding. They decided they were not going to feel sorry for themselves, they wanted to do something! They joined this incredible movement of people fighting for the same thing. And it amazes her knowing that 100% of the money raised goes to research and is allocated within 6 months. That money goes directly to work. Time is definitely of the essence, especially for cancer patients. I’d like to thank Michele for taking a moment so share her story. You can listen to the entire interview below. Crystal Hammond is the personal finance blogger running SophisticaedSpender.com and is a Zumba and Insanity fitness instructor. She is also super smart and is a professional electrical engineer.